84. Muslims in America and One Nation Under Which God? I read a recent article by Ken Chitwood, a guest on episode 16 of Reconnect, entitled, “What Does God Require of Us Amid Rising Islamophobia?” that exhorts us to defend the rights of Muslims, reach out to Muslims with compassionate friendship, and to be humble knowing that we cannot rebuild the brokenness of the world on our own (namely, we need God to wholly fix the world). These points are very good reminders to us for what we need to do and I affirm them throughout the episode, yet with caution. It seems to be implied that if more Americans just knew Muslims personally and had more knowledge of Islam they wouldn’t be as fearful of Islamic extremism. However, according to a 2011 Pew Research study the majority of Muslims in the United States are concerned (is that the same as fearful?) about the rise of Islamic extremism within America, as well as a large number of Muslims in America (231,000) that say suicide bombings and violence against citizens can sometimes be justified to defend Islam, while ONLY 33,000 Muslims in America say such attacks on citizens is often times justified. The report also says, ““A significant minority (21%) of Muslim Americans say there is a great deal (6%) or a fair amount (15%) of support for extremism in the Muslim American community.” This means that one in five Muslim Americans say there is a great deal or fair amount of support for extremism in the Muslim American community? Really? So about 660,000 Muslim Americans say there is a great deal or fair amount of support for Islamic extremism in the Muslim American community. To support this perception within the Islamic community, the study also showed that 5% of the Muslims in America are favorable of al-Qaeda. That’s 165,000 American Muslims who are favorable of al-Qaeda. Since such answers come from the Muslims in America, it helps explain why there is a fear of Islam in America? I don’t think it is an irrational fear based on the numbers, especially when we ask how many would legitimately tell the truth about supporting al-Qaeda and suicide bombings while living in America. Then consider that the statistics on these points in Islamic states is extremely high, and the fear is very much understood among Americans. It shouldn’t be dismissed as white America simply not knowing Muslims or Islam, when the Islamic community in America itself has a majority concern for the rise of Islamic extremism in America too! But the Christian is exhorted to act justly, love mercy, and walk humbly as Ken reminds us in his article. How do we then respond if we are fearful, or simply concerned about Islamic extremism as many of the Muslims in America are also concerned? Many of the examples Ken gives, we should follow, but I don’t think we ALL should follow them, depending on our family duties and responsibilities, which I explain in this first segment. I read quotes from the early founding fathers, statesmen, and presidents of America! If America is a nation under God, which God are we under? Wouldn’t the founding fathers’ words best tell us? The quotes are compiled by Dr. Richard G. Lee in his book, In God We Still Trust. As usual, both of these parts are connected to sharing the good news of Jesus Christ. The three local libraries that I frequent, all have a bookstore of used books. These books usually cost 50 cents to $2. Sometimes you can find some really great resource books for yourself or copies of the Bible or other books you already own that you think would be great to keep on hand for giving to others. One such book I found recently is In God We Still Trust by Dr. Richard G. Lee. It’s mostly just compilations of quotes from America’s founding fathers, presidents, and key reformers and ground breakers demonstrating that the God we trust in is not some generic, withdrawn, unknown deity, as many liberals want us all to believe now. These quotes also show that when America used to be called a Christian nation, we actually were. Does that mean we don’t have massive sins and flaws in our history, such as the Trail of Tears that starts in my home-state, TN? No, it just shows that we as all people and nations are sinners and led by sinners, but at least, for a time, our nation was largely Christian, trusting in God alone for our salvation and provision. If we and our prosperity shall be true to the Christian religion, if we and they shall live always in the fear of God, and shall respect His commandments, if we and they shall maintain just moral sentiments and such conscientious convictions of duty as shall control the heart and life, we may have the highest hopes of the future fortunes of our country; and if we maintain those institutions of government and that political union, exceeding all praise as much as it exceeds all former examples of political associations, we may be sure of one thing, that while our country furnishes material for a thousands masters of the historic art, it will afford no topic for a Gibon. It will have no decline and fall. It will go on prospering and to prosper. But if we and our prosperity reject religious institutions and authority, violate the rules of eternal justice, trifle with the injunctions of morality, and recklessly destroy the political constitution which holds us together, no man can tell how sudden a catastrophe may overwhelm us that shall bury all our glory in profound obscurity. 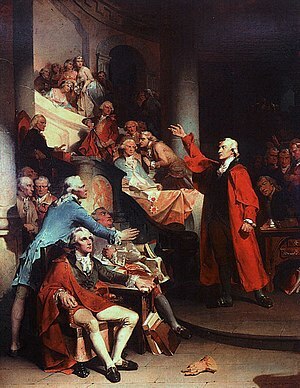 Whereas it is the duty of nations as well as of men to own their dependence upon the overruling power of God, to confess their sins and transgressions in humble sorrow, yet with assured hope that genuine repentance will lead to mercy and pardon, and to recognize the sublime truth, announced in the Holy Scriptures and proven by all history that nations only are blessed whose God is the Lord. … We have been the recipients of the choicest bounties of Heaven; we have been preserved these many years in peace and prosperity; we have grown in numbers, wealth, and power as no other nation has ever grown. But we have forgotten God. We have forgotten the gracious hand which preserved us in peace and multiplied and enriched and strengthened us, and we have vainly imagined, in the deceitfulness of our hearts, that all these blessings were produced by some superior wisdom and virtue of our own. Intoxicated with unbroken success, we have become too self-sufficient to feel the necessity of redeeming and preserving grace, too proud to pray to the God that made us. When I was in high school, probably about 14-15 years ago, I read Jeremiah 18:1-12 and I instantly thought of America, although Jeremiah was talking about Israel. It seemed to me that America’s history was that of Israel, that God still works with nations as he did in the Old Testament era, that he works and deals with people collectively, as well as individually, that in this temperol age, the actions of one affect the whole, just as Adam’s rebellion brought sin and death to all men, and the second Adam’s act of righteousness brought salvation to all men. In high school, I saw the signs that we were moving away from being a nation under God, even though my public high school had public prayer led by students blasted over the football speakers, and that we could hear the prayer from outside our locker room as we waited to enter the grid-iron, and before we left our huddle to go the field, right after checking Special Teams’ Rosters, we’d hold hands and say the Lord’s Prayer; even then I saw that we were moving away. It didn’t seem to be the America that my Grandparents cherished from their youth… reading Abraham Lincoln’s words make me feel even further removed. In high school, what stood out to me was our acceptance of abortions. Now it’s the acceptance of all religions as being equally valid and true; such pluralism is what hurt King Solomon’s reign and Israel’s protection in the Old Testament. I think we always need to accept that there will be religions that stand against the Lord of the Bible that Abraham Lincoln spoke about in his this speech I quoted. The fight to kill the unborn is as strong as ever. Now homosexuality is the new fighting ground, and if a person speaks out against the perils of homosexuality, there will be persecution, though that person will be made out to be the persecutor. Recent mass-shootings indicate the level of godlessness that has swept over our nation. 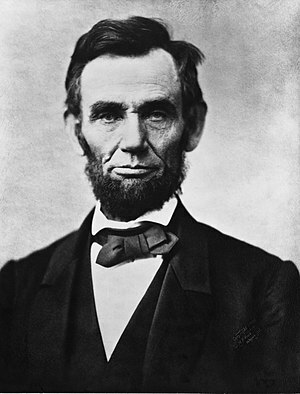 We reap what we sow, and I agree with Lincoln… I wish we as a nation could turn back to the Lord. Christians, we must pray for our leaders, all of them! This is commanded in Scripture – Look it up; it’s 1 Timothy 2:1-7. The invitation is there… God is drawing you to himself through the work of Jesus Christ. Repent, believe, and be baptized in the name of Jesus Christ, if you haven’t already received Him. Principally and first of all, I give and recommend my soul into the hands of God that gave it; and my body I recommend to the earth… nothing doubting but at the general resurrection I shall receive the same again by the mercy and power of God. The doctrine of a general revelation would have come from a Biblical, Christian worldview for Mr. Hancock. It cannot be emphasized too clearly and too often that this nation was founded, not by religionists, but by Christians; not on religion, but on the gospel of Jesus Christ. Wow! Partrick Henry claims that America was founded on the gospel of Jesus Christ! That isn’t generic deism by any stretch of the imagination. If Patrick Henry was wrong in this statement, other early prominent American leaders would have corrected him. Do we have any such corrections? My only hope of salvation is the infinite, transcendent love of God manifested to the world by death of His Son upon the cross. Nothing but His blood will wash away my sins. I rely exclusively upon it. Come, Lord Jesus! Come quickly! 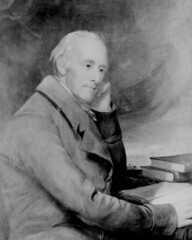 Benjamin Rush definitely wasn’t Jewish or Islamic, or simply believing that there was some unknown Creator directing the course of history from afar without any direct revelation of himself to mankind. The general principles upon which the Fathers achieved independence were the general principles of Christianity… I will avow that I believed and now believe that those general principles of Christianity are as eternal and immutable as the existence and attributes of God. All quotes were pulled from In God We Still Trust by Dr. Richard G. Lee.